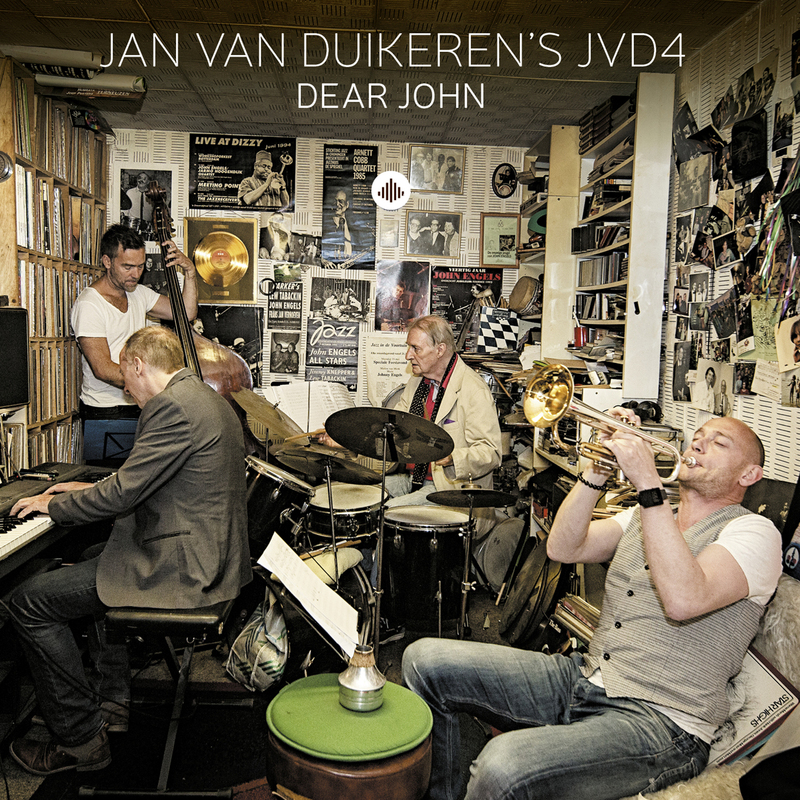 Music friends, that’s how trumpet player Jan van Duikeren puts his relationship to drummer John Engels. Inspired by their friendship, Jan started writing tunes for John and asked him for his favorite compositions to record. Their chemistry lead to the establishment of the quartet JvD4 in 2015 and to the recording of Dear John. Even before the recording of Dear john started in June 2015, the quartet was invited to play at Tokyo Jazz festival and some other Japanese venues. Both Jan and John love Jan. Jan performs in Japan almost every year, with Candy Dulfer, Trijntje Oosterhuis or Jazzinvaders. John, who turned 80 this year, experienced one of this career highlights in Japan in 1987, when he recorded a live record with Chet Baker.